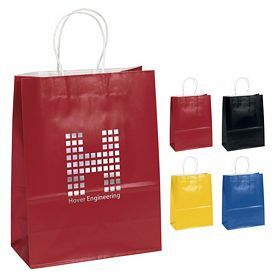 Promotional paper shopping bags are a great marketing strategy. 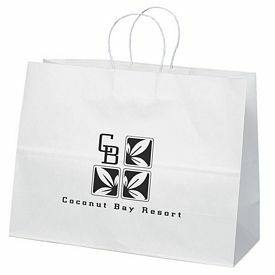 Nowadays, it is almost a fashion statement to carry beautiful customized paper bags. 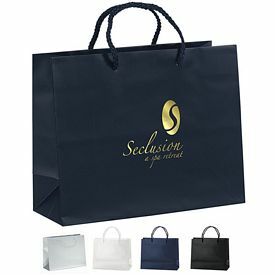 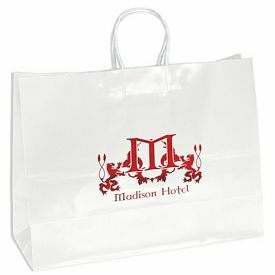 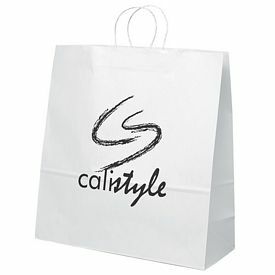 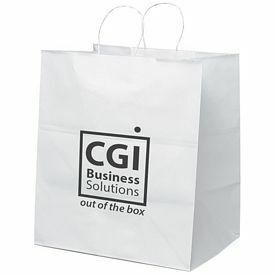 If you own a designer clothes store, then you should opt for logo gloss paper totes. 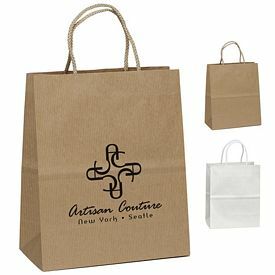 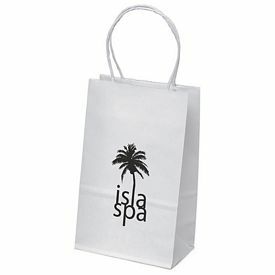 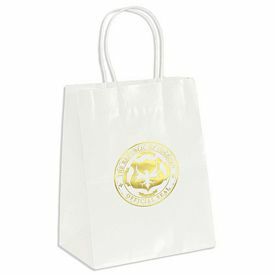 Branded paper bags can be customized with your company logo along with a tagline. 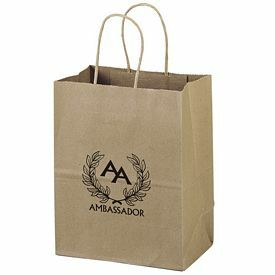 Promo paper bags have a classy charm of their own. 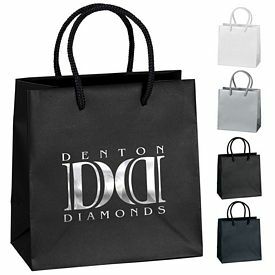 It is the ideal way to transport purchased goods in style. 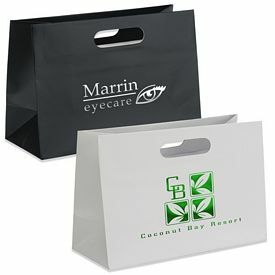 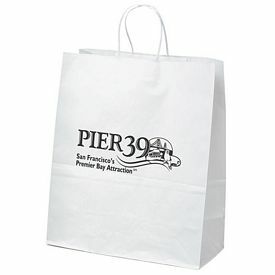 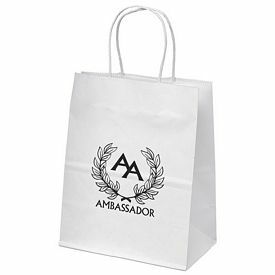 Customers will be able to recognize your brand just by seeing the promotional paper bags. 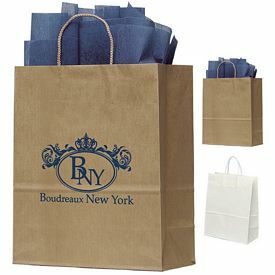 Many people love to carry customized paper bags because they are eye-catching, light, and neat. 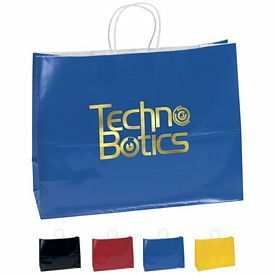 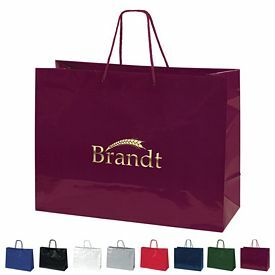 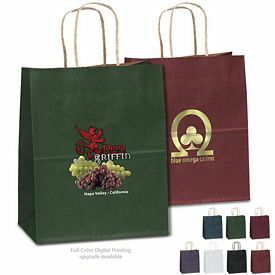 Our promotional paper bags come in many exciting colors. 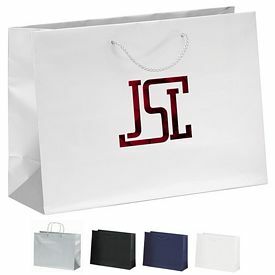 You can carry a lot of items in the custom paper bags. 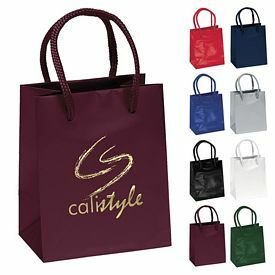 You can easily fold the logoed paper bags and put them inside cabinets for future use, and the bags never take too much space for storage. 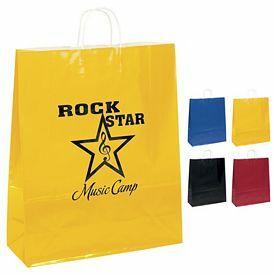 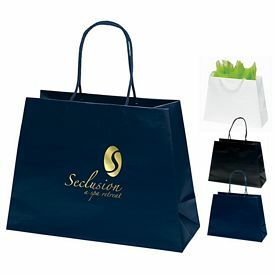 There are a number of ways in which promotional paper shopping bags can be used. 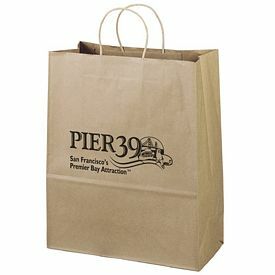 If you are dealing with groceries then logo paper bags are a good choice. 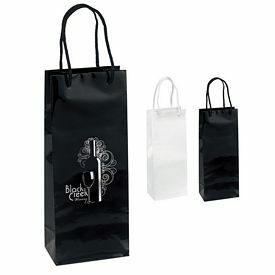 Customized open mouth sacks are suitable for bakeries and grocery stores. 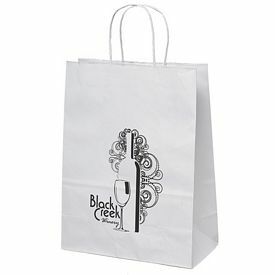 Customers will enjoy carrying their kitchen supplies in the reusable custom paper bags. 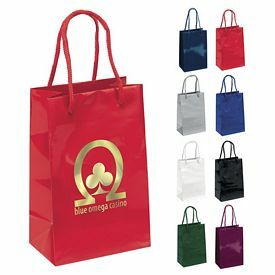 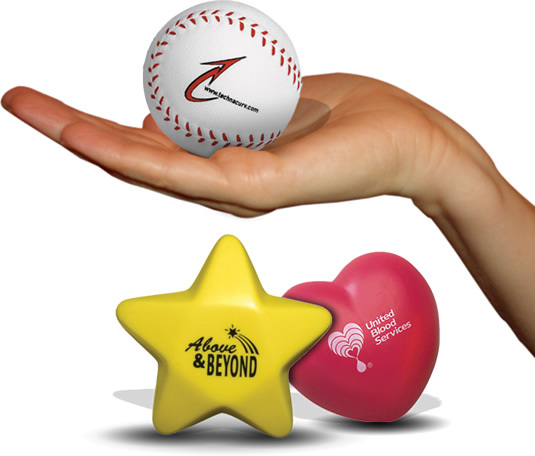 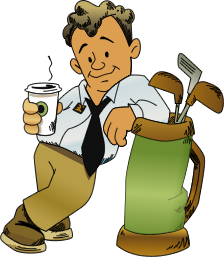 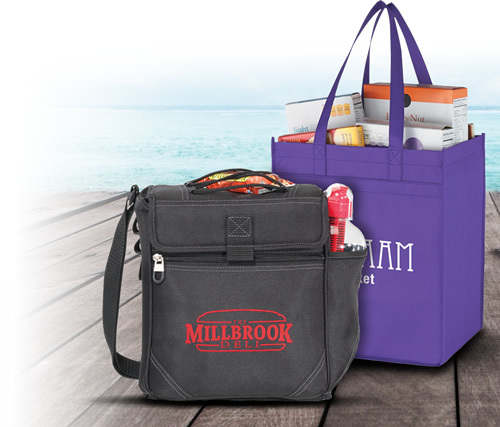 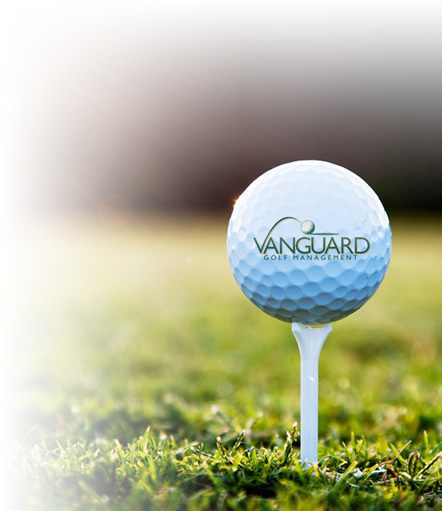 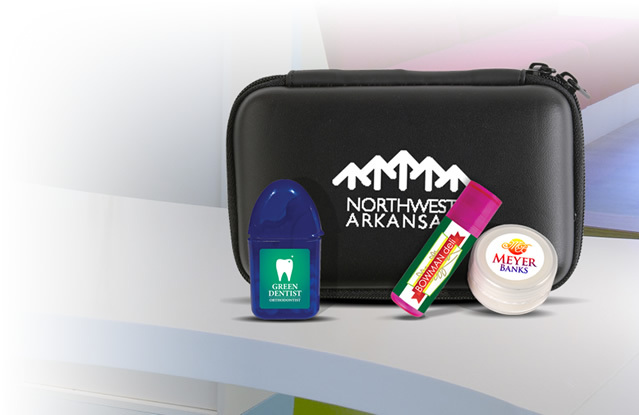 Personalized tote bags with your company logo are great giveaway items. 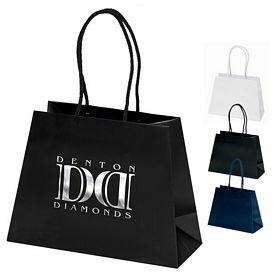 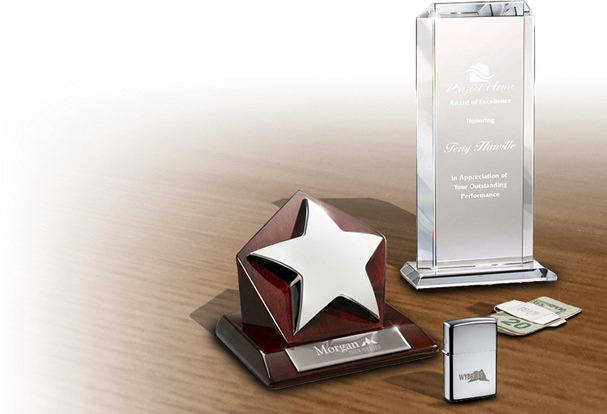 This will not only delight your buyers but will also attract potential customers. 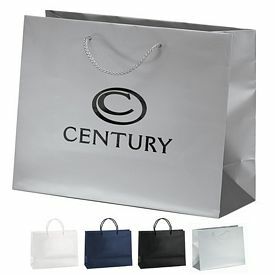 There are many advantages of using promotional paper shopping bags. 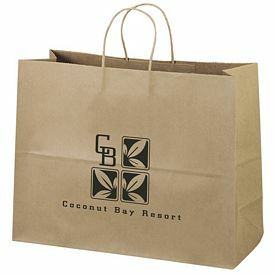 Custom paper bags are recyclable and biodegradable. 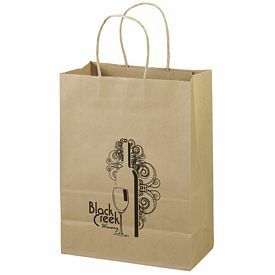 Branded paper bags are environment friendly as they are like newspapers and magazines and can be reproduced into new paper. 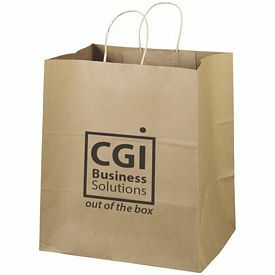 Logoed paper bags are also be disposed of easily. 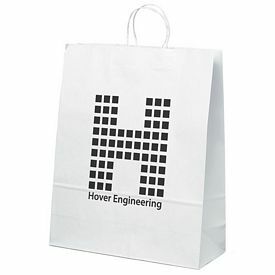 Our customized Paper tote bags can be used for industrial purposes as well. 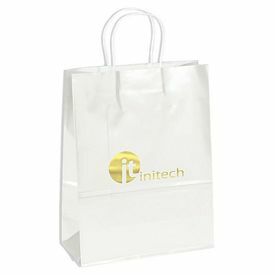 The promotional jumbo totes can be used for manual and automatic filling of powder, granular and many loose fill products. 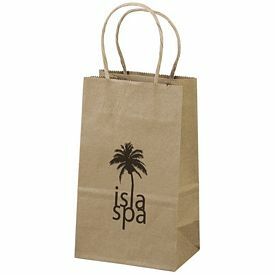 Sugar, animal feed, and seeds are some of the most common industrial products that are packed in paper bags. 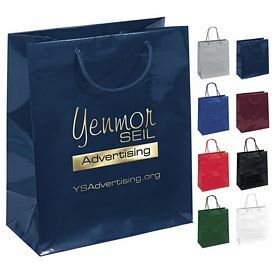 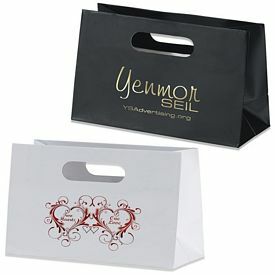 Promotional paper bags come with a sewed or glued bottom. 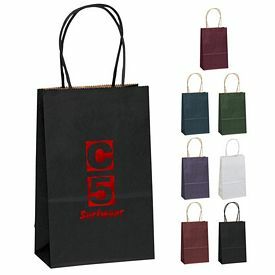 Sometimes reinforcements can be added so that the bag is more durable. 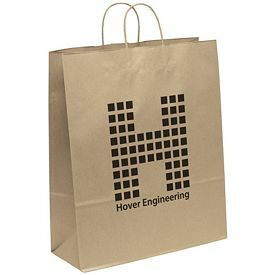 These customized paper sacks are often used in industries that work with in cement, lime or adhesives. 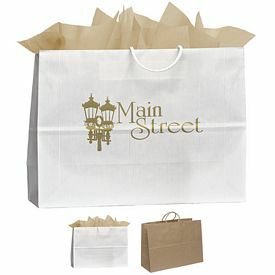 All of our promotional paper shopping bags come with no setup fees. 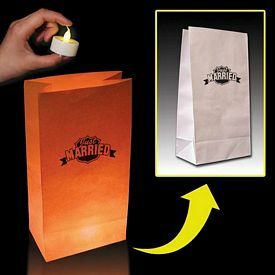 The custom Halloween Paper Treat or Treat bag is made of natural brown Kraft paper. 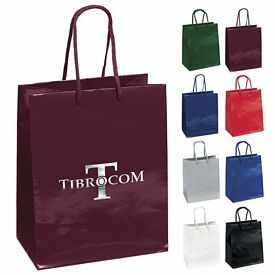 The twisted fibre handles give support to the bags. 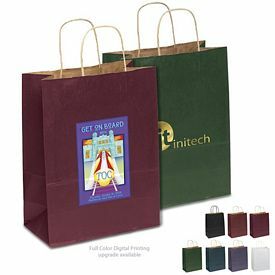 The promotional paper tote bags are perfect gifts for Halloween parties and children will love the two color stock design on the paper tote bags which includes a happy Halloween print with pumpkin, leaves, and candy. 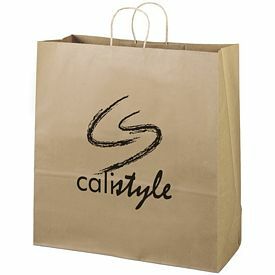 We will print your company logo just below the pumpkin. 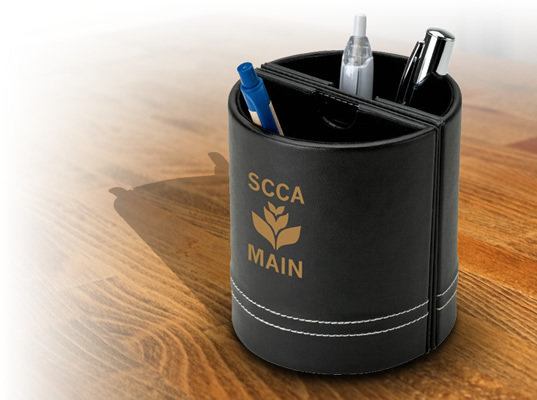 The black ink imprint on one side will be done free of cost. 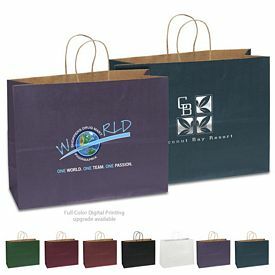 The size of the promotional paper tote bags is 10" wide x 5" gusset x 13" high. 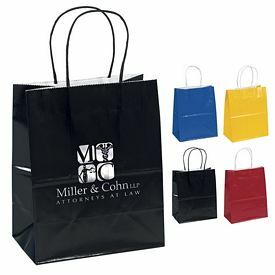 The creative Halloween candy bags have an imprint area of 7" wide x 3" high.